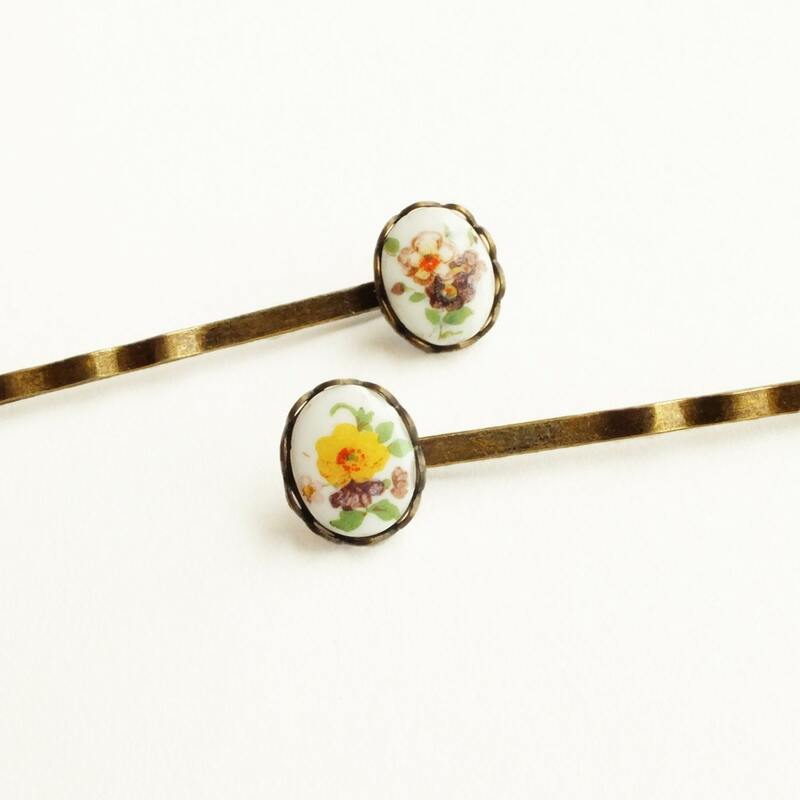 Victorian handmade floral cameo hair pins with vintage flower cameos. 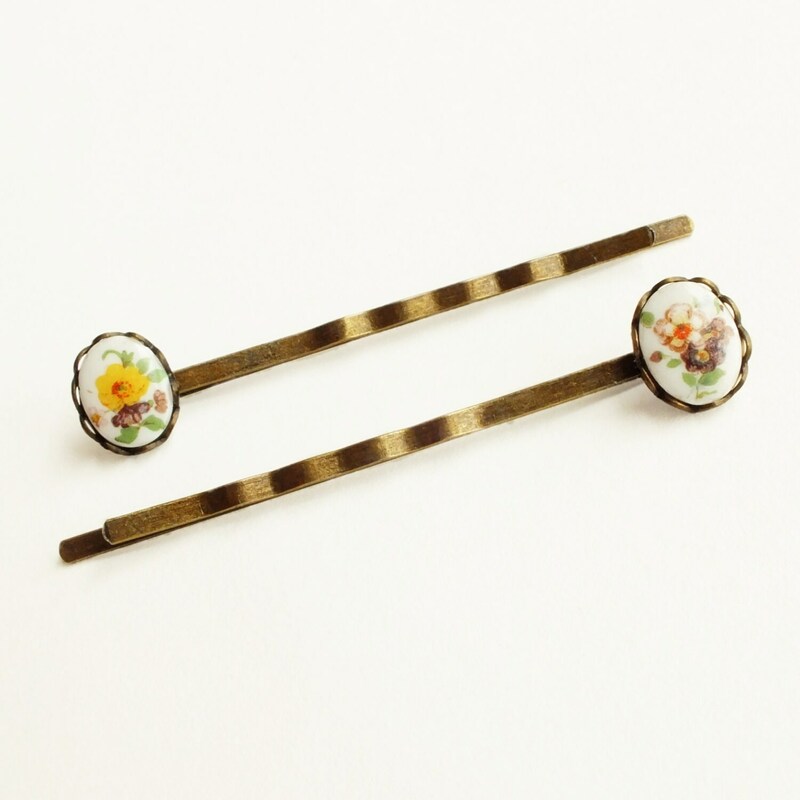 Genuine vintage glass floral cameos. 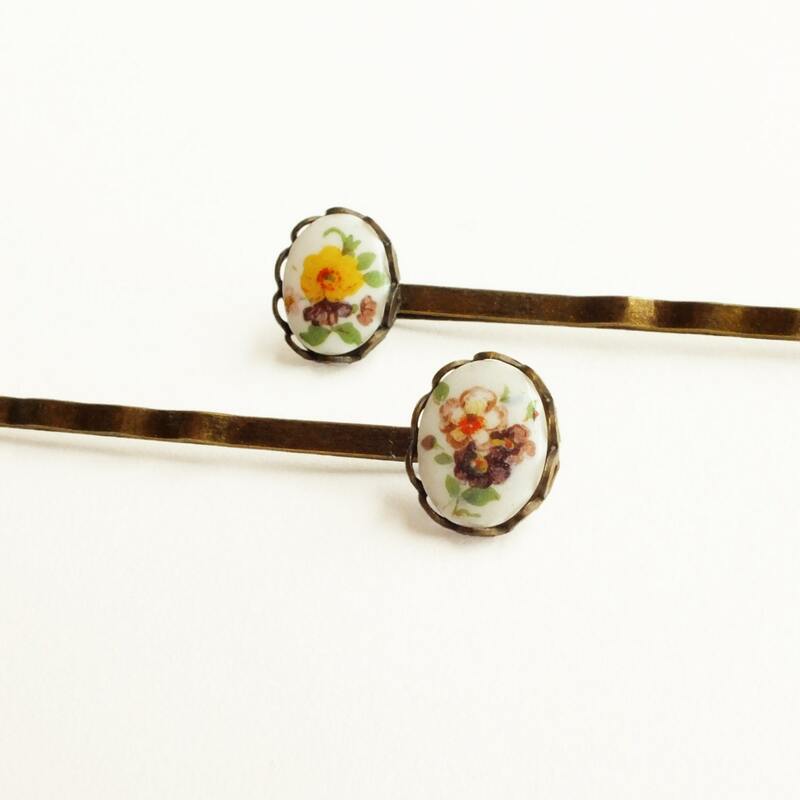 Antiqued brass hair pins and settings. 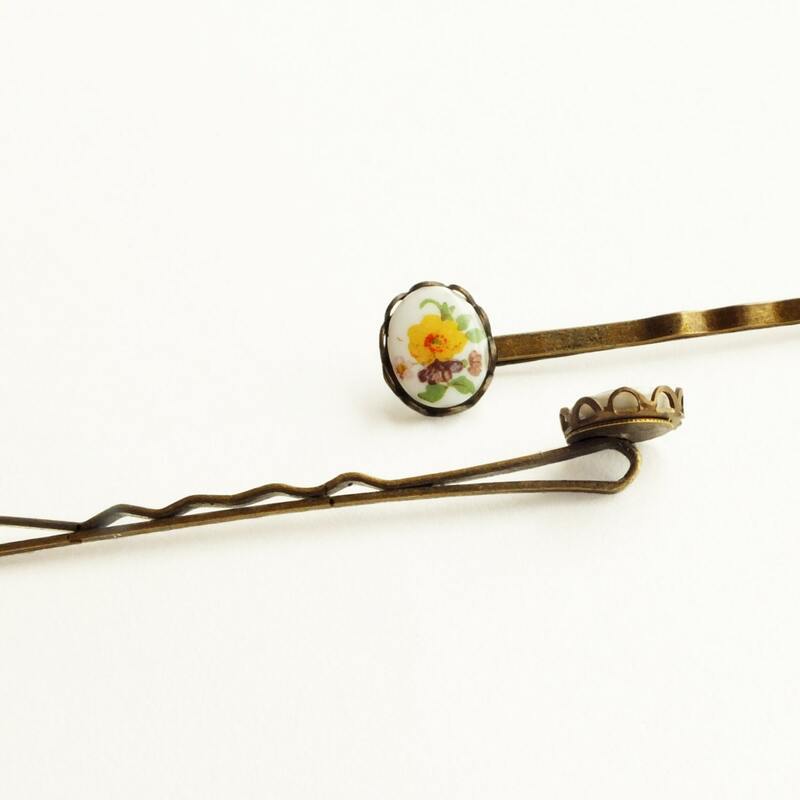 Hair pins are 6 cm - 2 3/8 inches long. 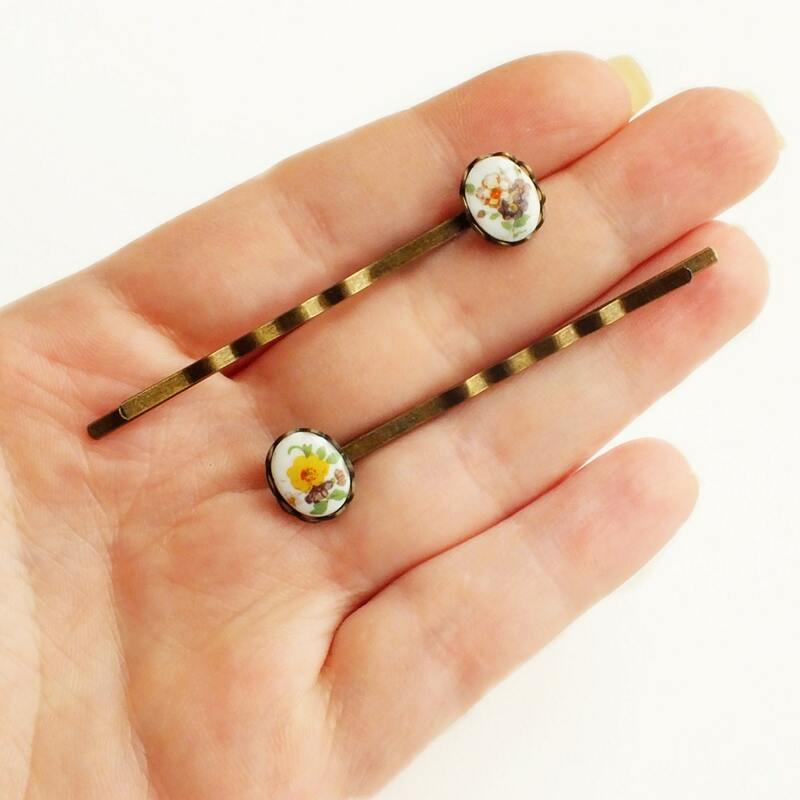 Made with tiny genuine vintage glass floral cameos set in lace-edged settings secured to high quality antiqued brass bobby pins.